How Many Homes Are There In Miami? Miami Florida is a fantastic City for real estate investing. Not only is it ranked number two of all u.s. Cities for having the highest average temperature but it’s also a city that has reinvented itself over and over again. At one point in time, Miami had an older wealthy population seeking to retire in the Sun. However, today it’s a vibrant City attracting a younger affluent crowd all craving to own a piece of it. The city has a vast market for single and multi-dwelling homes. Let’s take a look at Miami’s robust real estate market in a little more detail. Let’s first take a look at the population in Miami. According to the latest available census numbers of 2016, the population in Miami is just north of 430,000. Interestingly, the total population count does not fluctuate a great deal, but every year a large number of people come and go from the city. This constant influx leaves an incredible amount of opportunity for investors as there’s a lot of movement in the market. 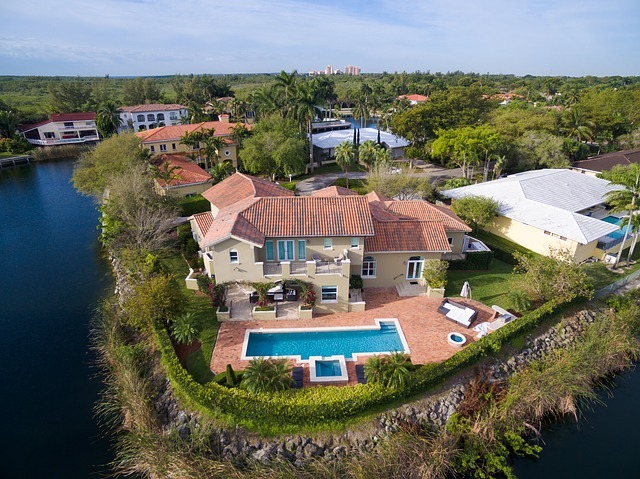 Another impressive fact is home sales have steadily increased in Miami since Q2 of 2010, and the average price of homes is now above $300,000. Miami has just shy of 200,000 homes in the city. The actual number is 199,659 released in the 2016 stats. Of those numbers, 170,748 are occupied. 51,954 are dwellings that are owner-occupied while a 120,794 are renter-occupied. This stat just goes to show that with the 70% of homes rented in Miami, there is a big market for Buy and Hold Strategy. Finding a great mentor to help is key. You can hold for a while then flip after it appreciates. The age of these homes vary from location to location based on many variables including the overall economic picture and even down to post-hurricane issues. The way the math works the average year for houses built in Miami is in 1960. Obviously, there are many homes built that are newer, but this statistic is the average of them all. People have made common mistakes in forecasting their investment because there are some older places too. For a complete picture of the housing units in their structures are as follows. There are approx 51,530 single-detached homes. There are 27,486 attached units. multi-family units housing between three and four families equaled 9,230 units. Small housing complexes housing between five and nine families was just above 13,000 units. The number was very similar for Multiplex units housing between ten to nineteen families. Smaller housing complexes holding between twenty to 49 families was just over 18,000, and finally, housing communities with over fifty or more families were about 60,000 units. In conclusion, there is a great deal of opportunity to be had in the Miami area specifically for investing in homes, especially with small Multiplex units. Of course, there’s always a ton of room for wholesaling, flipping and rehabbing single-family dwellings too. Be sure to partner up with a great mentoring program who have years of experience in the Miami area.